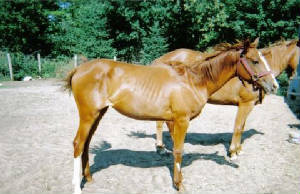 Here all of Dusty's current offspring. Thanks for looking! 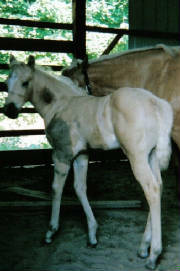 July 2005 AQHA palomino filly, out of AQHA mare "Champs Dandy Girl", owned by Joyce Raahn of Germfask, MI. 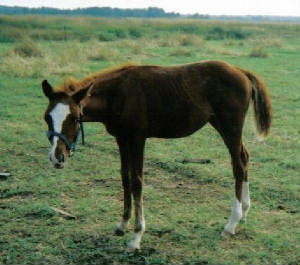 2003 Half Arbian / Quarab pinto filly Sheza Miss QT. 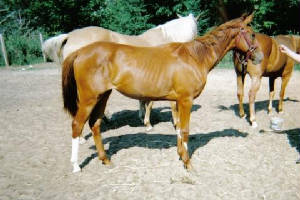 Out of AHRA mare Ra Alada Lady (photo on the mares page). Owned by Dan and Margaret Timbs of Dafter, MI. 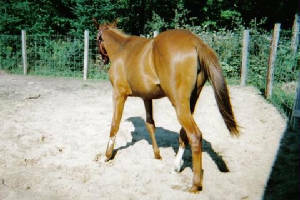 2003 Quarab gelding, out of a 7/8 arabian mare. Owned by J D Livermore of Germfask, MI. 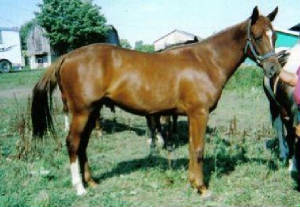 2003 sorrel colt out of AQHA mare "Roselight Parr". 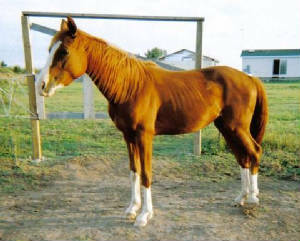 Owned by Terri Deweese in Missouri. 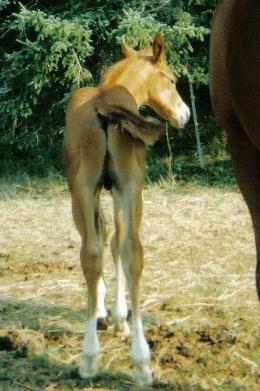 2004 Half Arbian / Quarab Pinto filly. 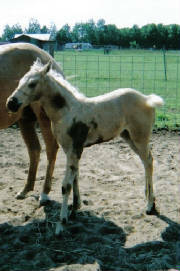 This filly EVEN has belly spots! Check out her leg white and and that hip! Owned by Joyce Raahn in Germfask, MI. 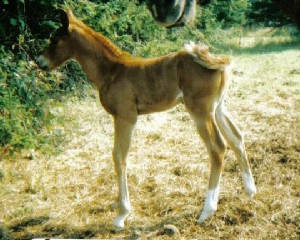 Foaled April 17, 2005 this is Alada Sun Treasure, full sister to Missy. 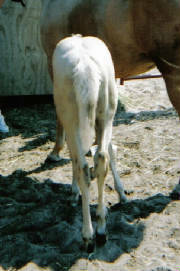 She is owned by Fred and Linda Thompson of Sault Ste Marie, MI. 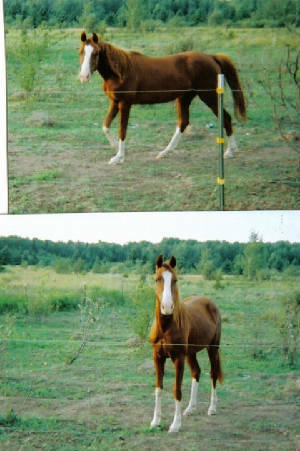 Yearling photos will be updated.